BRENT HANSON Was born and raised in Boise and has over fifteen years of sales and marketing experience. Through these years he has come to one conclusion: “if I help people in any way I can I will always find success”. He has never worried about actually “selling” people a product. He tries to be a resource that people can use. 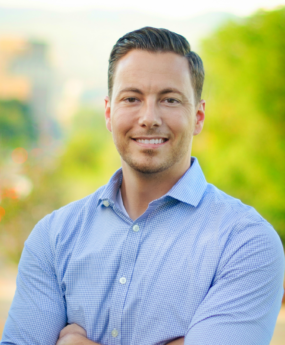 Brent’s strengths in real estate are negotiation and design and marketing, all are powerful tools to help his clients end up on top of their transaction. Brent’s drive to grow his business spawned the creation of City of Trees Real Estate with his business partner Jeremiah Bullock. His philosophies are centered around a positive client experience which are adopted by all of the City of Trees Agents.